Information is now available online from the regional workshop on state tax credits for the rehabilitation of historic properties held earlier this month. Click here for information (PDF) from the State Historic Preservation Office on the new state tax credits and the National Register of Historic Places. 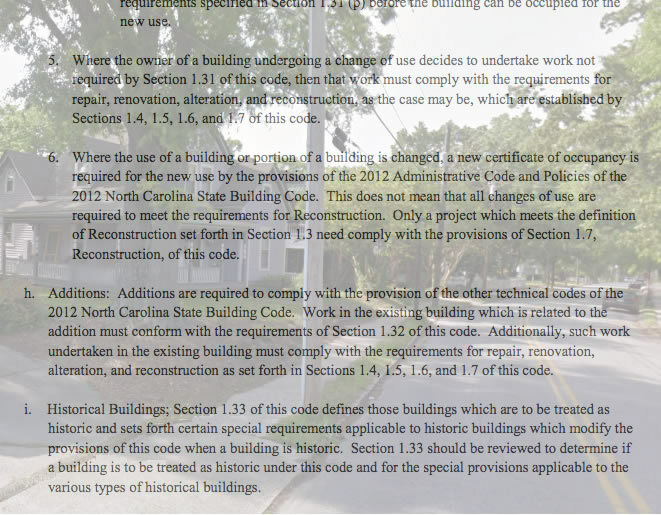 Click here for information (PDF) from Carl Kessler, owner of Historic Workshop Inc. of Southern Pines, on North Carolina’s rehabilitation building code, historic structures and the state building code and the complete text of the current North Carolina Rehabilitation Code, which went in to effect in 2015. This entry was posted in City Government, Historic Preservation and tagged Carl Kessler, National Register of Historic Places, North Carolina rehabilitation building code. Bookmark the permalink.